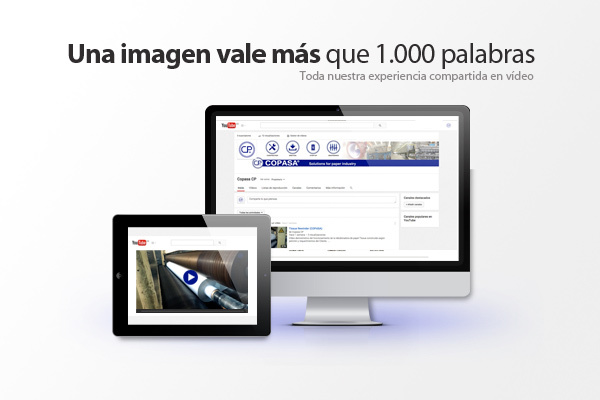 It is commonly known that a picture is worth a thousand words, we are offering from COPASA our official channel in Youtube, where we will issue demonstration and operation videos of our products and service. All images are real and property of COPASA, captured during different stages of our assembly and maintenance at our Customers’ production plants. – Tissue Machine (COPASA). In this short video we show operation of CrescentFormer Tissue machine made by COPASA. – TissueSlitterRewinder (COPASA). Operation of Tissue rewinder made by COPASA. – Converting Machine (COPASA). Shows a line converting the jumbo roll into final product (toilet and kitchen rolls). This is a second hand machinery available for sale. Great opportunity. You are invited to follow the COPASA official channel in Youtube, to be updated and check production capacity which COPASA offers you. Subscribe now and do not miss our videos! COPASA has the capability to design and supply all the necessary elements for any facility that the customer requires. We install the relevant and most efficient equipments (screens, thickeners, stock and water pumps and high density cleaners, etc.) according to the required capacity and the quality of available cellulose/waste paper.